➻ Hetrick, 43, is a self-taught special-effects makeup artist and a judge on Face Off, Syfy’s special-effects reality competition series. 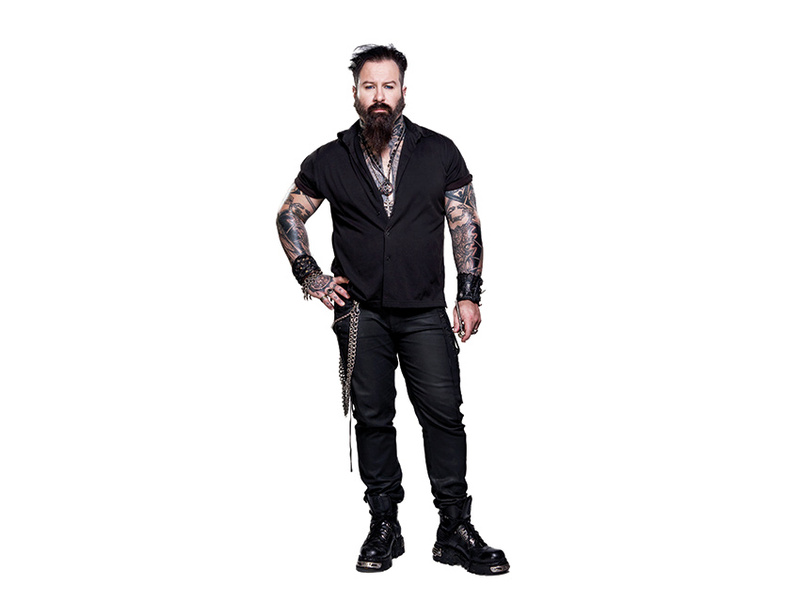 As the owner of Glenn Hetrick Alchemy Studios in Sun Valley, he oversees a team that has made silicone prosthetics, fake limbs, and full-body creature suits for TV and film (Heroes, Mad Men, The Hunger Games). ➻ Actor Lon Chaney, aka “The Man of a Thousand Faces,” was one of the earliest pioneers of special-effects makeup. For Phantom of the Opera in 1925, he hooked a thin wire to his nostrils to pull back his nose, which reportedly caused him to bleed during filming. ➻ The Academy of Motion Picture Arts and Sciences introduced the Best Makeup Oscar in 1981. The first winner was Rick Baker, for his work on An American Werewolf in London.